Beijing(web team): Prime Minister Narendra Modi today arrived here on a three-day visit to China during which he will hold summit talks with Chinese President Xi Jinping on a range of issues including the festering border dispute and China's plans for infrastructure projects in PoK. 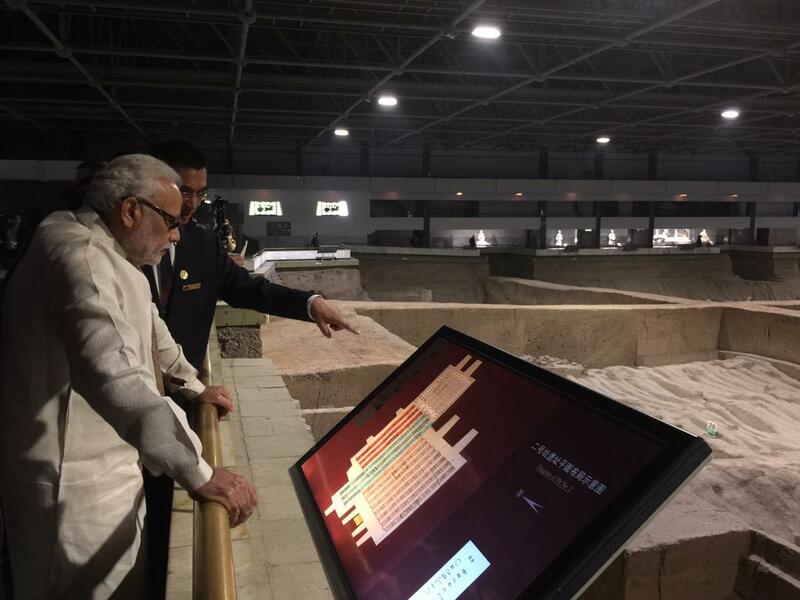 The Prime Minister viewing the exhibits at the Terracotta Warriors Museum. 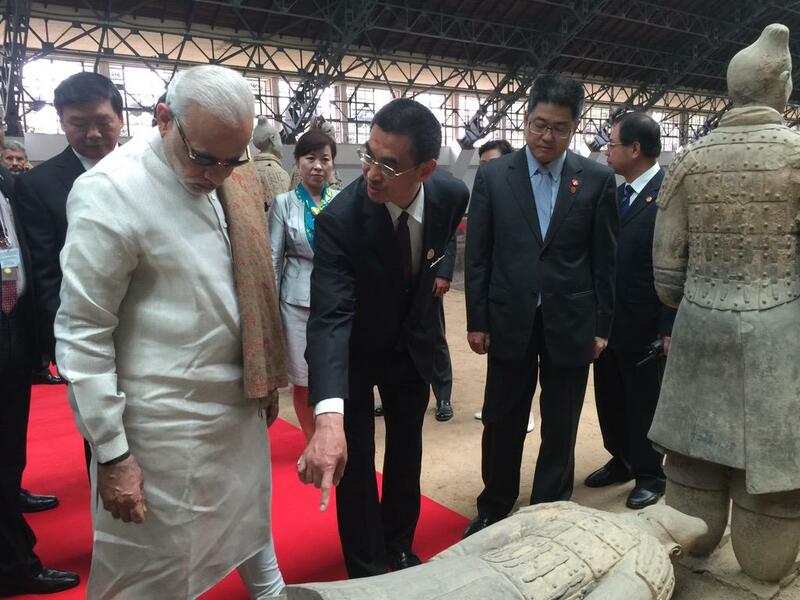 Another photo of the PM viewing the exhibits at the Terracotta Warriors Museum. Prime Minister Narendra Modi on Thursday received an enthusiastic welcome on his arrival in Xi’an. Sharing thoughts in the visitors book. Clad in an orange kurta, a Nehru jacket and an orange scarf, the Prime Minister was greeted with a traditional Chinese dance at the airport while he waved at the performers. Ministry of External Affairs (MEA) official spokesperson Vikas Swarup shared the information via Twitter. “Ni Hao!. 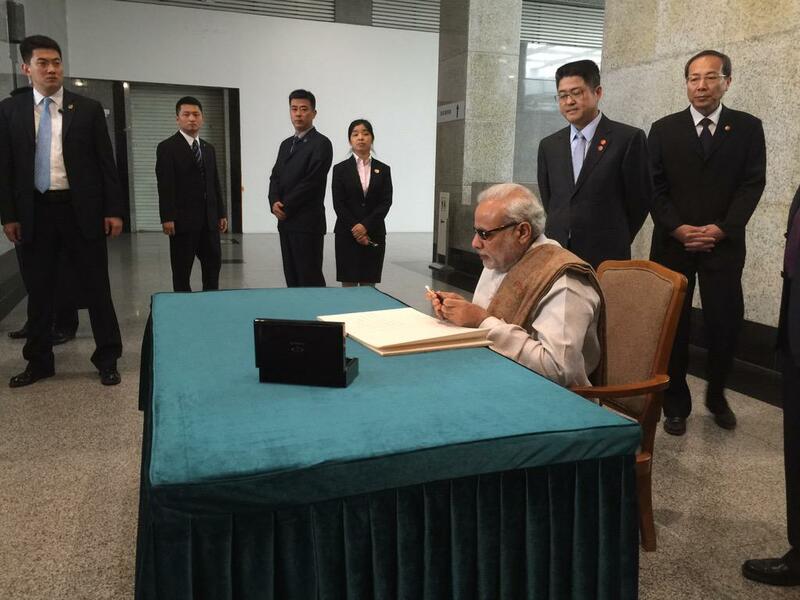 PM @narendramodi arrives in the historic city of Xi’an, on the first leg of his China visit,” he wrote. “Not an ordinary city. Not an ordinary welcome. PM @narendramodi being greeted at Xi’an airport,” he added, also posting pictures of the welcome accorded to the Prime Minister.